In large bowl, beat 1/2 cup granulated sugar, brown sugar, peanut butter, butter + egg with electric mixer on medium speed, or fork , until well blended. Stir in flour, baking soda + baking powder until dough forms. Shape dough into 1-inch balls; roll in additional granulated sugar. Place on parchment lined sheet pan; about 2 inches apart. Bake 8 to 10 minutes or until edges are light golden brown. 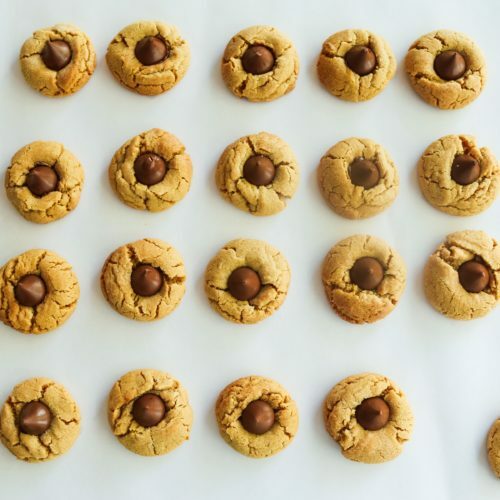 Remove from oven and immediately press 1 milk chocolate kiss in center of each cookie. 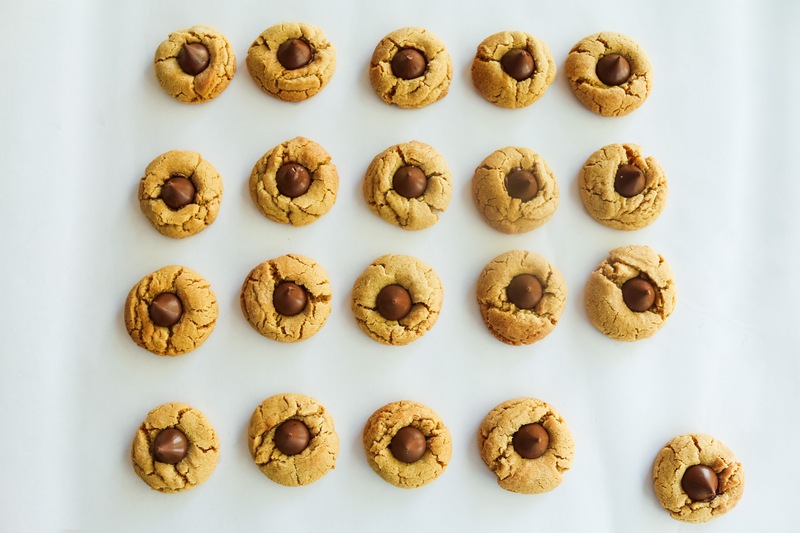 Allow cookies to cool for 2 minutes on the sheet pan, and then transfer to a cooling rack.